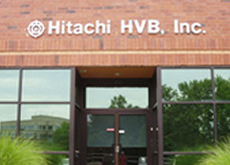 Hitachi HVB, Inc. | Network Directory : Hitachi in the U.S.A.
Hitachi HVB, Inc. offers you the complete experience – from manufacturing and product development to support services. We are global suppliers of electrical equipment that meets the highest safety standards and is easy to use. Hitachi is credited with the design of the world’s first environmentally-friendly high-voltage vacuum circuit breaker. It is cost-efficient and allows the release of insulating dry air into the atmosphere without any adverse effects. The featured map is internet generated and should be used to "take directions" only. What is Hitachi Social Innovation? NEXT 2017 by Hitachi. Lead What’s Next.